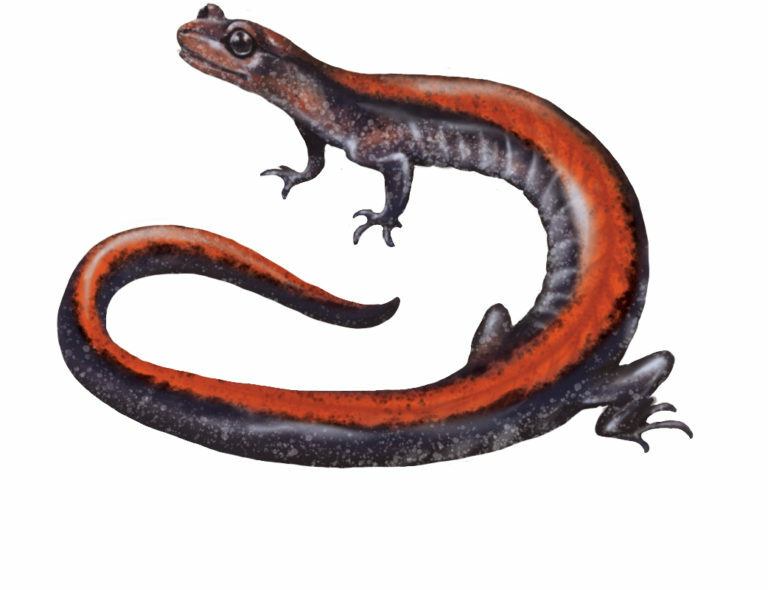 Eastern Redbacked Salamander art for an upcoming poster in prep by Museum Volunteer Jacki Whisenant! The amphibian and reptile collection includes specimens from around the world. Many of the Wisconsin specimens form the database for “Natural History of Amphibians and Reptiles in Wisconsin.” The author, Richard C. Vogt, collected widely from the state and since that time has provided specimens from the southwestern United States, Mexico, and South America. In addition, collections from Southeast Asia have resulted from multiple expeditions of faculty and graduate students.